2/12/2012 WJR News/Talk Grand Rapids, Michigan: Dr. Kirk Heinze, Greening of the Great Lakes host and MSU Professor, interviews Dr. David E. Guggenheim. 2/3/2012 mLIVE/WJR Grand Rapids, Michigan: Internationally Renowned ?Ocean Doctor? to Speak in Grand Rapids Next Week. Learn why the world’s oceans are at risk and what we should be doing about it. Dr. Kirk Heinze, Greening of the Great Lakes host and MSU Professor, interviewed Dr. David Guggenheim. ?12/23/2011 Dr. Kiki’s Science Hour (TWiT Netcast Network): Ocean CheckupDr. Kirsten ?Kiki? 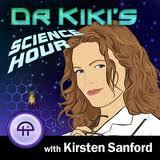 Sanford is joined by The Ocean Doctor, David E. Guggenheim on Dr. Kiki’s Science Hour for a checkup on the oceans? health. ?12/18/2011 60 Minutes: The Gardens of the Queen 60 Minutes cameras take you on an underwater adventure off the Cuban coast to one of the world’s most pristine and vibrant coral reefs, known as the Gardens of the Queen. Anderson Cooper scuba dives with marine biologist David Guggenheim, dodging giant groupers and sharks, to explore this increasingly rare oasis. Scientists estimate that 25 percent of the world’s reefs have died off and much of what’s left is at risk. ?11/2/2011 Popular Mechanics: What if Cuba’s Offshore Oil Project, Only 100 Miles From Florida, Goes Wrong? PRI’s “The World”: US, Cuba scientists cooperate on Gulf research For the first time in decades, scientists from Cuba and the US are officially collaborating on Gulf of Mexico research. Lygia Navarro reports from Sarasota, Florida. A new study suggests mother nature might be cleaning up the BP spill faster than expected. Researchers found several species of oil-eating bacteria thriving in the submerged plume, but uncertainty remains over the threat to marine life. Barry Shainbaum Radio Show: David Guggenheim, Ph.D., topic: Gulf oil spill, Washington, D.C.
As part of the 2010 World Science Festival in New York, the ?Ocean Doctor,?Dr. David E. Guggenheim, joined TED prize winner and National Geographic Explorer-in-Residence, Dr. Sylvia A. Earle; Woods Hole Oceanographic Institution’s Dr. David G. Gallo, and Fabien Cousteau, in a panel moderated by ABC News? Bill Weir, entitled, Illuminating the Abyss: The Unknown Ocean ? Saturday, June 5, 2010, 4:30 PM ? 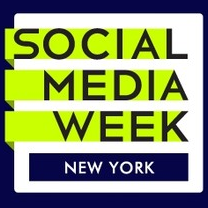 6:00 PM at The Paley Center for Media. CNN: Cuba Faces Possible Oil Threat Fears over oil spill reach Cuba as fishermen and natural habitats face potential threats. CNN’s David Ariosto reports. BioScience: Opening Doors to Research in Cuba by Jeffrey P. Cohn featuring Dr. David E. Guggenheim and work of the Trinational Initiative for Research and Conservation in the Gulf of Mexico and Western Caribbean. Explorers Club Event: In early 2009, a panel of top scientists led by marine toxicologist Dr. Susan Shaw and Dr. Earle came together to convey a powerful message about the enormity of the crisis facing the world’s oceans at the first State of the Oceans Forum. These Explorers return for a follow-up forum about the innovative solutions, leadership and resources required to make a difference for future generations at the Second State of the Oceans Forum: Facing the Crisis: Reasons for Hope at the Explorers Club?s World Center for Exploration in New York City. 11/12/2009 Event: Dr. David E. Guggenheim joined a panel discussion following the Washington, DC premiere of the new documentary, Farmed Salmon Exposed: The Global Reach of the Norwegian Salmon Farming Industry, produced by the Pure Salmon Campaign. The 20-minute film illustrates the major environmental problems and impact of global salmon farming industry operations in Canada, Chile, Ireland, Norway, and Scotland. From WGCU: ?The battle lines have been drawn and the fight over oil in the Gulf deepens. We?ll take a closer look at the pros and cons of drilling – we?ll hear from both sides as to whether or not it can solve our oil and gas dependency and whether it’s even safe. 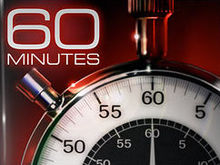 Also on the show – Cuba is ready to begin drilling off its northern coast. It may start leasing to companies willing to drill for oil by the end of next year. Is Cuba’s oil demand going to affect Florida’s waters?? “Blue Planet Almanac” on HealthyLife.Net Radio: Oil and Water with Dr. David E. Guggenheim, the “Ocean Doctor” Host: Mike Austin. From Blue Planet Almanac: Discussing the amazing background behind his love of the ocean and its stewardship, Dr. Guggenheim will draw from his lifelong experiences as a friend to Mother Earth including his roles as current president of 1Planet1Ocean and past vice president at The Ocean Conservancy. Guggenheim is also current expedition leader of the Ocean Doctor’s 50 Years, 50 States, 50 Speeches Tour to educate American children about the ocean’s critical importance to our futures. 5/1/2009 The “Ocean Doctor,” David E. Guggenheim, is featured in the recently-released book, Lessons from Empowering Leaders: Real Life Stories to Inspire Your Organization Toward Greater Success by Ed Poole, author of Lessons from the Porch and Lessons from the Crossroads.Description: Sharing stories is absolutely critical to promote the growth of individuals, resulting in organizational success as a whole.Lessons from Empowering Leaders demonstrates to all leaders the absolute, unequivocal necessity of their engaging in open, transparent, and authentic storytelling with their followers. 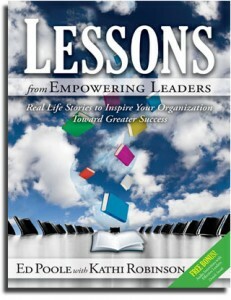 Empowering leaders of any type and size organization will benefit from reading the stories and lessons contained within Lessons from Empowering Leaders. Scottish Parliament Event: The Scottish Parliament’s Transport, Infrastructure and Climate Change Committee held a climate change event, Scotland and Climate Change – Getting it Right, in the Chamber of the Parliament on Friday 27 March 2009. Explorers Club Event: With its growing focus on conservation, the Explorers Club hosted its first-ever State of the Oceans Forum, featuring a panel of ocean explorers/scientists offering a range of perspectives on the state of our oceans today and the actions we must take in order to restore and sustain them. Event: Blue Vision Summit: Lessons from Ocean Explorers: Why Conservation Needs Exploration. Renowned ocean explorers and adventurers gathered at the Carnegie Institution for Science on March 7, 2009 to kick off the Blue Vision Summit, a project of the Blue Frontier Campaign. With stunning imagery and stories from the deep, this unique panel discussed the importance of ocean exploration, its future, and how exploration is vital to the advancement of the conservation of the oceans. From Outside Magazine: Cuba has the Caribbean’s largest wetlands and earth’s happiest lobsters, but is Fortress Fidel really an environmental paradise? PATRICK SYMMES heads south and finds that bold policies combined with bolder incompetence can result in surprising successes?and spectacular brown failures. National Geographic Channel: National GeographicToday: “Lessons from Veracruz” Using small submarines, scientists document the demise of a vast coral reef system in Veracruz, Mexico, with important lessons for coral reefs around the world. Dr. David E. Guggenheim is featured.